Great-value H370 ATX motherboard with 5X Protection III for dependable stability, fantastic DDR4 performance, DisplayPort and HDMI connectivity, two M.2 slots and a lightning-fast USB 3.1 type-c port. 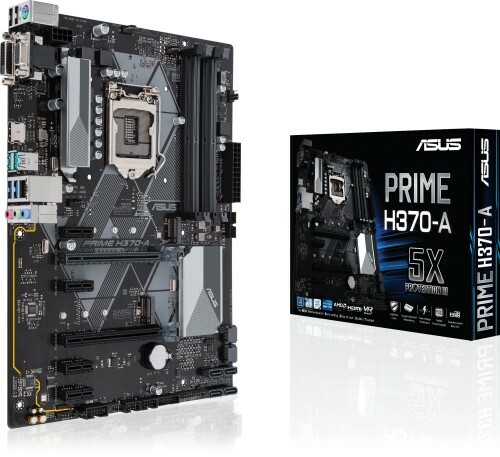 ASUS Prime 300 Series motherboards provide the solid foundation needed for your first build, plus flexibility to grow with your ambitions. ASUS have melded all the good stuff that's packed into the latest 8th Generation Intel Core processors with essential ASUS design and engineering, so you benefit from industry-leading technologies including automated system tuning, comprehensive cooling controls, and immersive onboard audio. When you build with an ASUS Prime 300 Series motherboard, you build smart, easy and affordably. The Intel H370 is a single-chipset design that supports 8th Generation Intel Core LGA1151 processors. It provides improved performance by utilising serial point-to-point links, allowing increased bandwidth and stability. 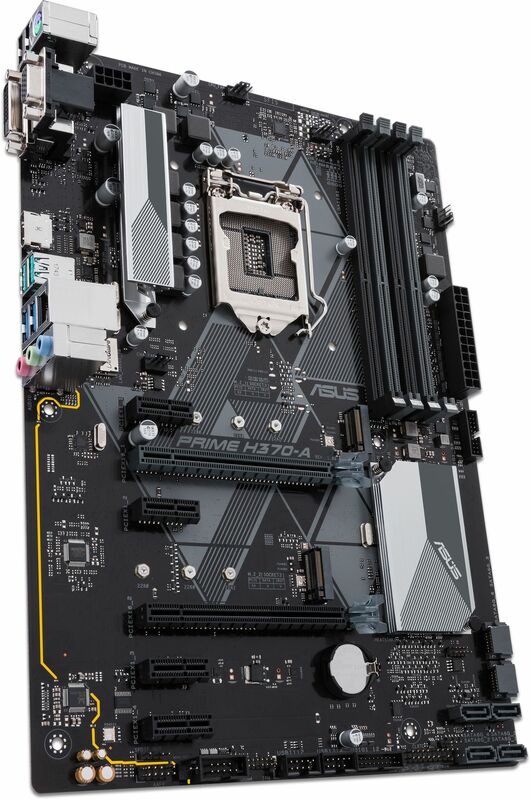 Additionally, the H370 chipset provides a maximum of four USB 3.1 Gen 2 ports, four USB 3.1 Gen 1 ports, six SATA 6Gbps ports, and 32Gbps M.2 and PCIe 3.0 lane-speed support, for faster data retrieval. Intel H370 also supports integrated-graphics, so you'll enjoy the very latest in graphics performance. Prime 300 Series motherboards offer a comprehensive control over system fans via the included fan expert 2+ software. ASUS' Auto-Tuning mode intelligently configures all parameters with a single click. Intel Optane is a revolutionary non-volatile memory technology supported by Prime 300 Series motherboards. Intel Optane memory modules accelerate attached storage to reduce boot and load times, so everything feels faster and more responsive. Prime 300 Series features the very latest Intel Ethernet. Intel's LAN has the advantage of reducing CPU overhead and offering exceptionally high TCP and UDP throughput for faster, smoother data transfer.